Each day I find myself more and more amazed with how much my daughter has learned in the past two years, especially now that she is in first grade. Children really are like sponges. They have the ability to soak up their surroundings by observing and asking questions, many. With a six year old at home you can only imagine how many questions I am asked on a daily basis. Sometimes it’s hard to keep track and other times I don’t even know the answers! Google sure does come in handy for the trickier ones. Without much effort our kiddos are naturally eager to process information, analyze it, and spit it out quicker than a garbage disposal. Weird analogy, yes. But you get the point right? I love watching my daughter learn new things and enjoy experiencing the excitement with her. Since learning is a vital part of growing and evolving, it’s helpful having options that make it fun without being tedious. It doesn’t have to be boring and it sure doesn’t have to be a drag. 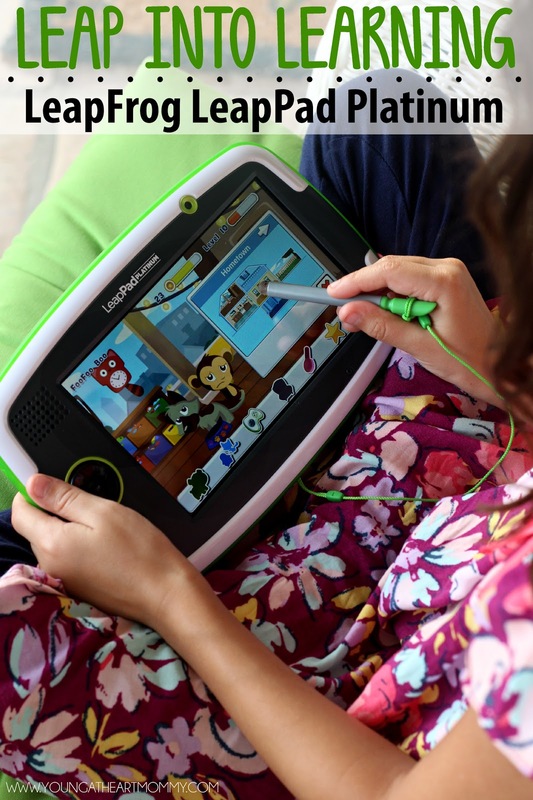 LeapFrog has all the tools you need to exercise your child’s mind with interactive activities and educational toys. 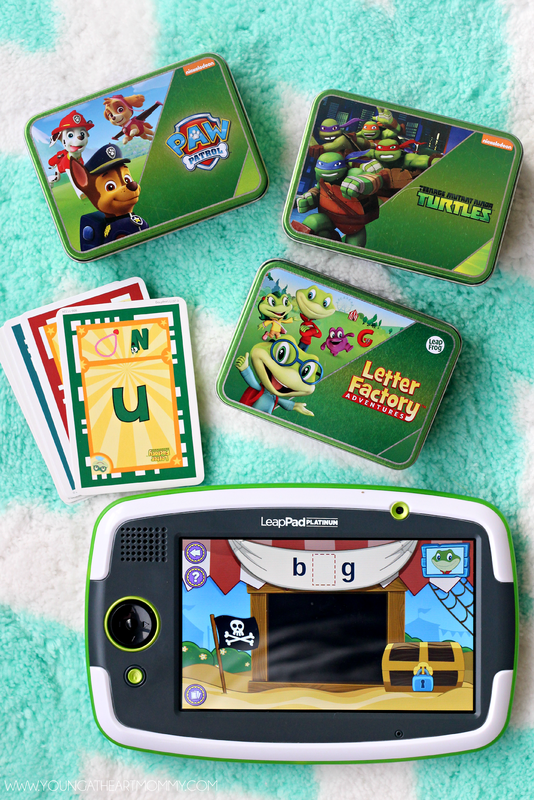 As a LeapFrog Mom Ambassador I had the opportunity to explore a few of their newest products: the LeapPad Platinum, LeapFrog Imagicards, and the Word Whammer. I was thrilled when our package arrived right before we left for Disney because a long car ride always calls for entertainment! We’ve been spending the last few weeks jamming with words, creating fun photos, and sharpening Toodie’s math & reading skills. While the previous version of the tablet has gotten a lot of love in this house, the LeapPad Platinum has been designed to welcome the next generation of learning. This edition features a brand new 7 inch multi-touch screen with crisp, clear, and vibrant graphics to keep your child engaged. 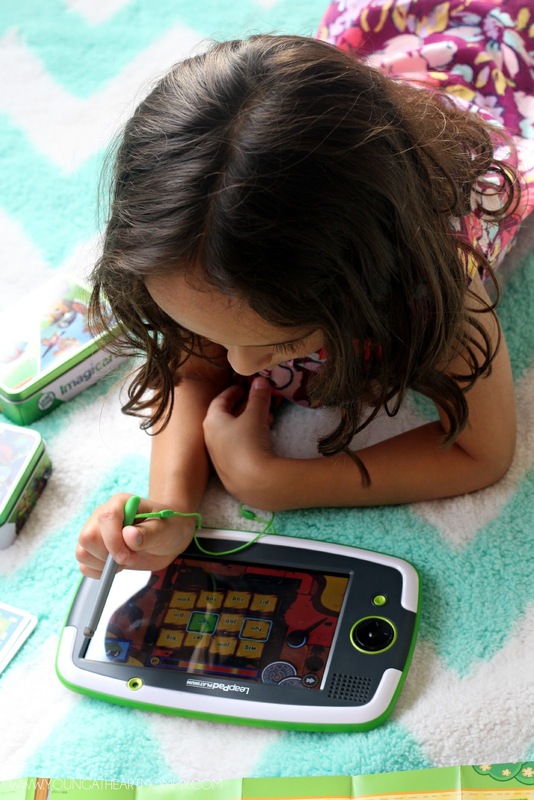 The 8 processor is much faster than the original model but your child still has access to a learning library with over 1,000 age appropriate games designed and approved by LeapFrog educators. It also features Wi-Fi with a web browser that can be protected and controlled by parents. This means your children can explore the content they love and you can feel comfortable knowing they aren’t being exposed to anything inappropriate. Its shatter proof screen and wrap around bumper makes it the most durable LeapPad yet. The LeapPad Platinum has been drop tested, impact tested, and compression tested to ensure child safety. Now you don’t have to hold your breath if it accidentally falls on the floor or out of little hands by accident! I can’t even tell you how banged up our first one is. That poor thing went through a lot but still runs like it’s brand new. The LeapPad is built to last and has proven to be kid-tough. The 8 GB memory makes it easy to hold over 100 game applications and up to 40,000 photos. It comes with two cameras and video recorders so your child can interact with the educational games. You can make learning even more magical and exciting with the newest craze, Imagicards! Imagicards may look like regular decks of cards but they are really an all-new way to play on the tablet digitally and physically. Using the camera, the individual cards can be scanned and a learning experience brought to life. Each deck comes in a tin box with an activation code and a play mat for card sorting. These are pretty neat and the best part is that the whole deck is downloaded into the tablet so they can be played on the go, even if an internet connection is not available. Toodie gravitated towards the Letter Factory Carnival deck and started playing immediately. This game focuses on literacy skills like spelling, phonics, and word sounds. Through carnival mini games and quests to find lost letters, Toodie is encouraged to form words. This deck really aligns with what she is currently learning in school and I love being able to incorporate the cards into her mini spelling study sessions. As her learning progresses, the game adapts and personalizes the activities to keep it challenging. The Leapfrog Word Whammer is another neat gadget to encourage learning and engagement. Bump up letter skills with 3 action packed games and 5 learning levels that adapt as your child plays. 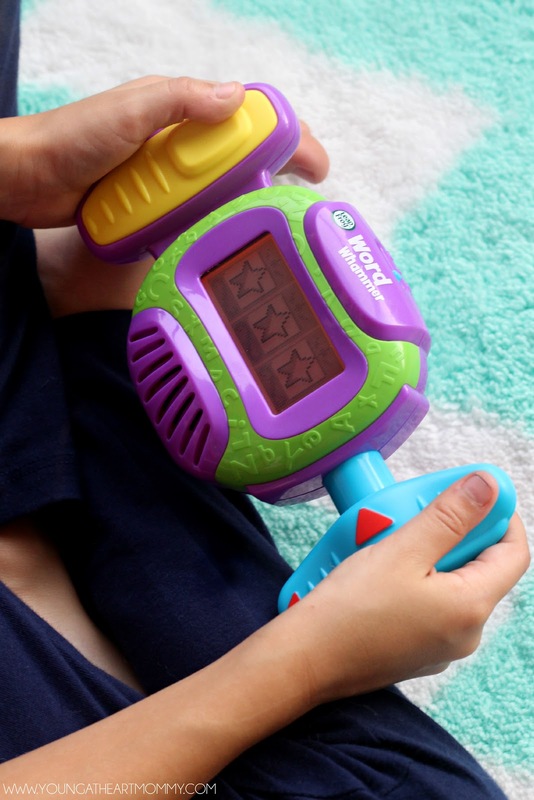 This handheld device gets kids jamming on phonics skills as they spin, push, and twist the handles to identify letters and build words. The Word Whammer is the ideal device for Kindergartners who are working on strengthening their formation of words and letter sounds. As with the Imagicards, the learning adapts automatically as they play so the games become more challenging to keep it fun and motivating. 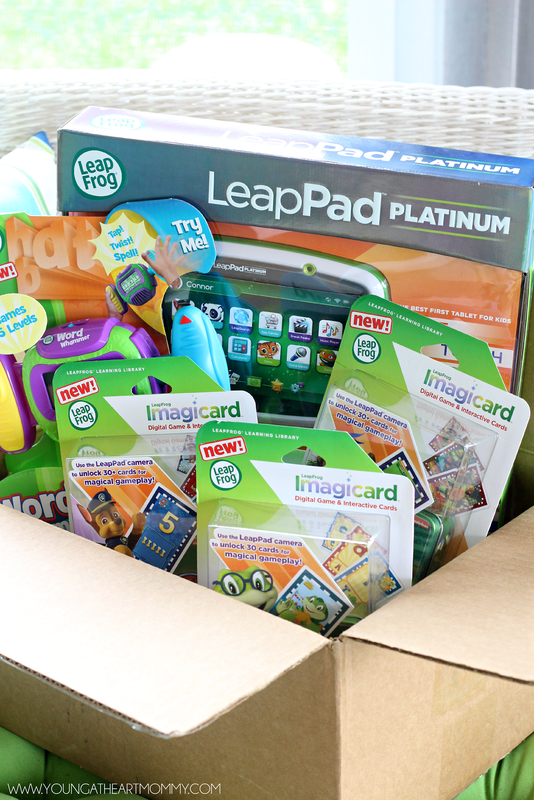 LeapFrog has been a part of our family’s learning experience for many years and they have yet to let us down. I can still remember Toodie’s very first LeapFrog friend, My Pal Scout. He still sits comfortably in my daughter’s closet because she refuses to let me find him a new home! 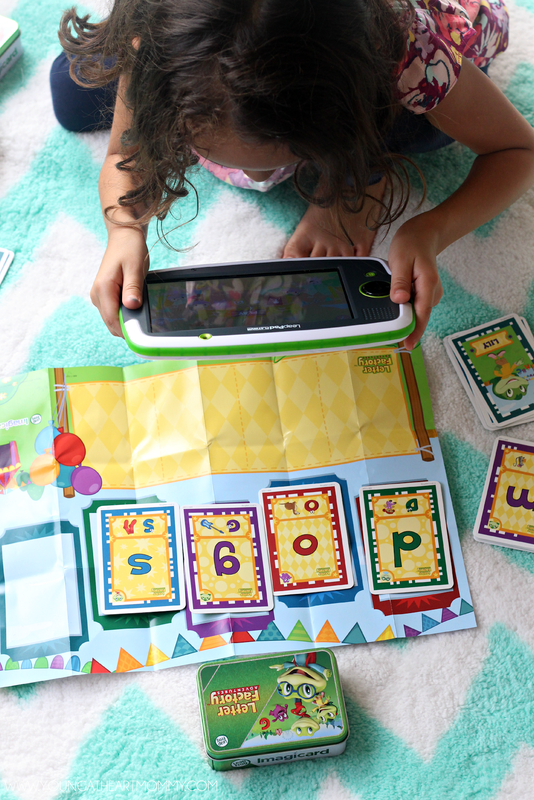 You can find the LeapPad Platinum, Imagicard decks, and the Word Whammer at your nearest LeapFrog retailer. There is a lot of memory, shatterproof screen and fun learning programs to do on the Leapfrog. I think my niece and nephew need one of these because it will help them learn a lot of new things! I love how educational these programs are! My grandsons would love owning a Leappad! Wow!! This sounds like a great little tablet for kids! !